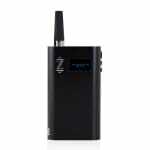 Sorry, ZEUS Smite Plus Herbal Vaporizer has been discontinued. The ZEUS Smite Plus is the updated version of the popular herbal vaporizer ZEUS Smite, upgraded with premium features including precise temperature control an LED digital display and battery life indicator, it has an improved battery, lasting up to 3 hours of continuous vaporization. 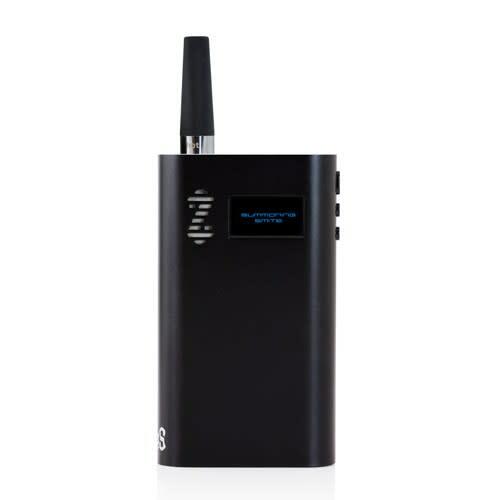 The ZEUS Smite Plus is the updated version of the popular herbal vaporizer ZEUS Smite, upgraded with premium features including precise temperature control an LED digital display and battery life indicator, it has an improved battery, lasting up to 3 hours of continuous vaporization. Ideal for those long vape sessions with your friends. The ZEUS Smite Plus is also entirely self-contained, boasting an internal mouthpiece storage compartment. The exterior shell of the Smite Plus is made of premium anodized aluminum, which is both sleek and durable. Approximately 10.4cm tall, 6cm long, 2.2cm wide and weighing in at approximately 185 g, the Smite Plus is powered by an incredibly strong, second generation , long-lasting Li-Ion battery. bought the basic version of this like half a year ago. somebody took it at a party i took it to, so i was super sad. This time i got the plus version of the smite and am even happier. I definitely recommend this vaporizer for herbal fun!